Our 12 passenger Range Rover is one of our smaller vehicles. 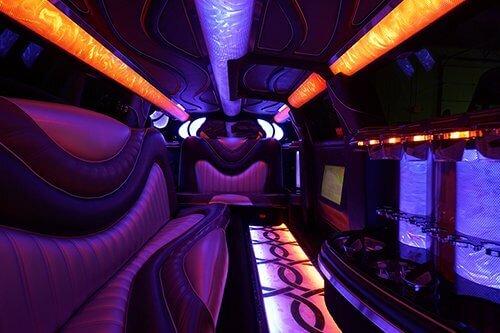 On the outside, it has a head turning Range Rover stretch body with jet doors, and inside it resembles a party bus. There are wrap around leather seats. There are is an ice cooler to put any drinks you might bring in. 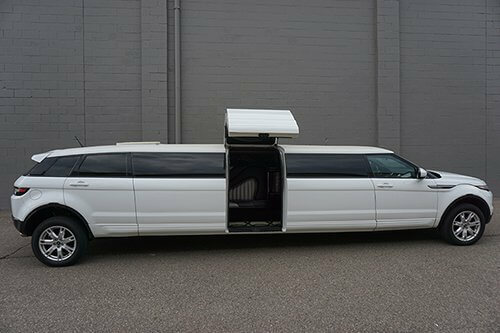 Clients love taking this around the Motor City due to the fact that it's a convenient size and offers a surprise when you open up the doors. 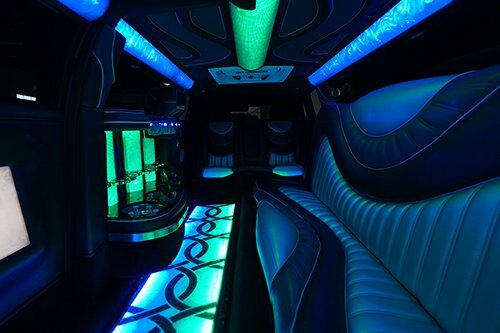 You usually don't expect this sort of interior from a vehicle that looks like this, but we've gone above and beyond to work on something that brings great value to our customers. There is also gorgeous disco lit flooring.